Geoff Ellis, one of Scotland’s foremost events industry pioneers, has described a new tax on events in Glasgow as “complete folly” and a policy that risks losing out to other cities and deterring visitors from coming to the city. 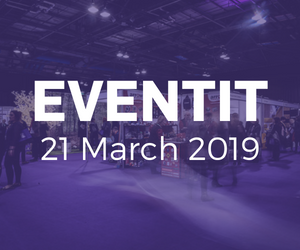 Mr Ellis, the founder of T in the Park and a veteran of the industry, redoubled his criticism of Glasgow City Council’s new environmental levy yesterday during a panel discussion at Scotland’s national events show, EventIt, at Glasgow’s SEC. The Chief Executive of DF Concerts & Events, which hosts the annual TRSNMT music festival on Glasgow Green – as well as the popular Summer Sessions in Bellahouston Park – said that the extra cost on tickets of up to £2.50 will put up barriers to park events occuring in the city, and may result in them relocating to other places in Scotland. With air passenger duty at Glasgow Airport, Mr Ellis said he calculated the total cost of taxation on city park events visitors flying into the city as £28.50, before they’ve even factored in the cost of accommodation, transport and subsitence. 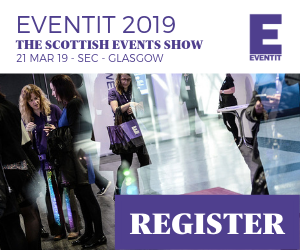 Ellis was in conversation with Brigadier David Allfrey, Chief Executive of The Royal Edinburgh Military Tattoo and Chair of the Events & Festivals Industry Group (EFIG), during a lively panel discussion at EventIt on the ‘State of the events and festivals industry in Scotland’. The duo, described as two of the country’s ‘greatest showmen’ for events, discussed everything from industry regulation, taxation, skills, exporting into new markets, competition and security. But for Mr Ellis, whose company DF Concerts & Events, is preparing for its annual TRSNMT festival on Glasgow Green, and also the Summer Sessions at Bellahouston Park, the single biggest issue facing his company ahead of those events was dealing with the fallout from a recent environmental levy proposal at the city council, which has had to find more than £40m in savings from its annual budget. During and after the discussion, Mr Ellis indicated that he may even relocate the Summer Sessions event, which attracts 35,000 revellers-a-day, from Glasgow to Dundee or Stirling, where he said it can be up to 15 times cheaper to stage an event. He added: “We’re seeing with Stirling and Dundee that both cities are very keen for us to make use of their assets and the rental prices they’re offering us are far, far less than what Edinburgh and Glasgow do. Stirling had made great use of its ‘city park’ area in front of its castle, where it staged Scottish music legends Runrig during a concert in front of 45,000 fans last August; Dundee, too, has been keen to attract event organisers into its Slessor Gardens site, which is part of a wider strategy to attract events into the rejuvenated waterfront area of the city. Mr Ellis said it was short-sighted of council officials to try and measure an event solely on a proportion of revenue associated purely with the ticket prices; he said that the intangibles – such as increased spend in bars, restaurants and hotels – would risk be lost also to local businesses if events were not to go ahead. Mr Ellis said also that imposing an additional tax on eventgoers to public park spaces in Glasgow could potentially affect the ability of the city to attract major international events in the future; increasingly cities are engaged in competition to attract the biggest events, with enticement for events organisers and rights holders. Brigadier Allfrey said Scotland should be rightly proud of its national strengths in event hosting and delivery, and its increasing professionalisation through universities offering events and festivals releated courses.